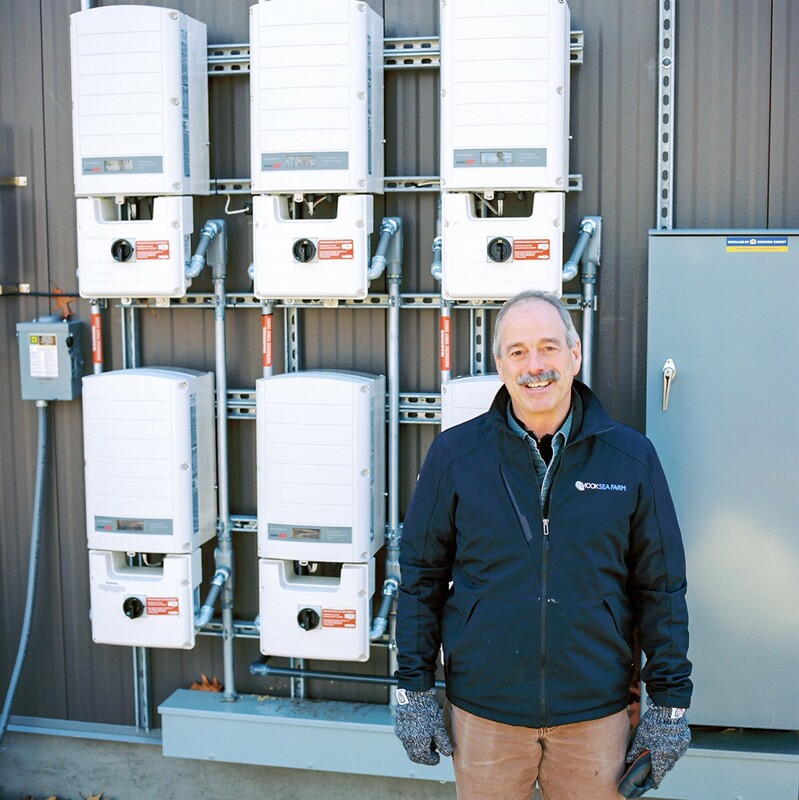 Bill in front of his 6 SolarEdge inverters that convert sunshine into power for his facility. Bill Mook is one of the original Damariscotta River oyster farmers, leading in Maine’s revival of the American oyster (Crassostrea virginica) with scientific rigor and entrepreneurial tenacity since he launched Mook Sea Farm in 1985. In 2018, ReVision installed 282 solar panels atop Mook Sea Farm’s new production facility, helping to keep Bill’s business on the cutting edge, and ahead of troublesome environmental trends. The Damariscotta has been a prolific habitat for the American oyster for over two thousand years, but the wild oyster population died off with the spread of colonial American settlements and the environmental disruption that ensued — now, over 140 million oysters are born in Mook Sea Farm’s hatchery every year, and are sold to other oyster farmers along the East Coast from North Carolina to Maine. The American oyster was revived in the 1970s when pioneer aquaculture (seafood farming) entrepreneurs began to cultivate mussels and oysters in the Damariscotta, with the support of the University of Maine’s Ira C. Darling Center for Research, Teaching and Service in Walpole. 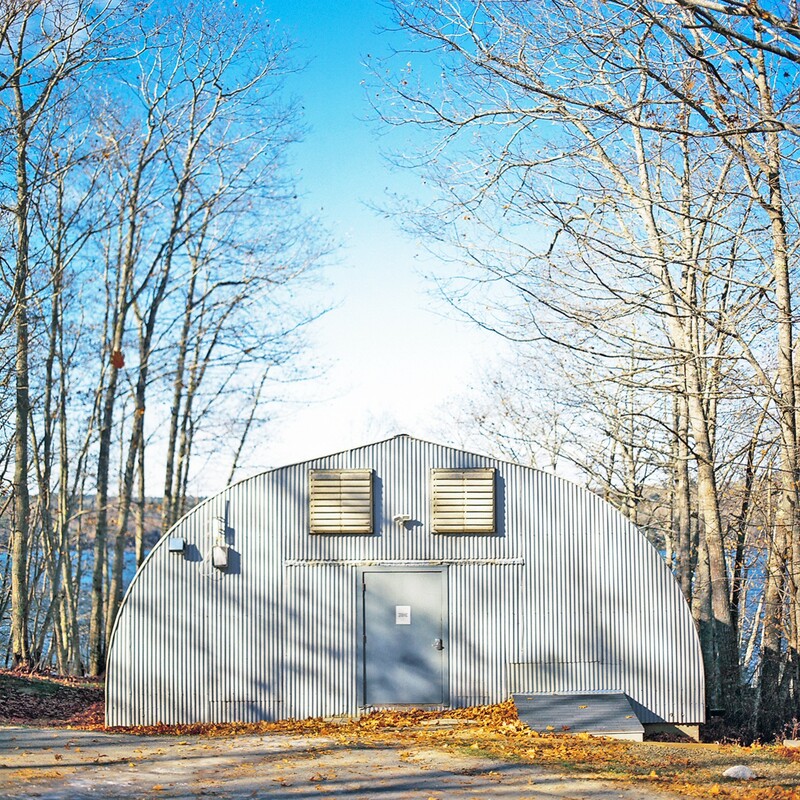 It was there at the Darling Marine Center, and one such shellfish hatchery, that Bill got his start in the early 1980s as a graduate student at the University of Maine. 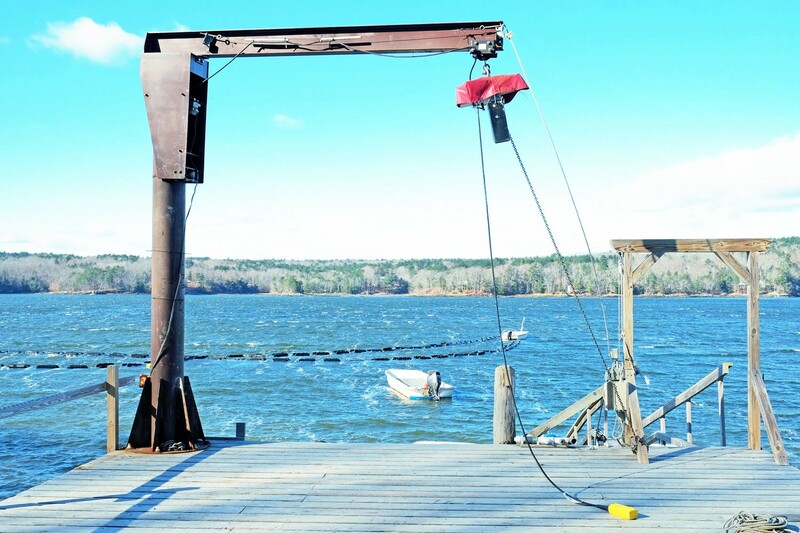 A view of a windy day on the Damariscotta from Mook Sea Farm’s dock — Bill’s oysters ride it out just beneath the surface. The Damariscotta is rich in phytoplankton, the microscopic marine algae that oysters feed on. Technically an estuary, 30 billion gallons of water move through the 12-mile channel each tidal cycle. This brackish mix of cool currents and ocean tides circulates phytoplankton and creates ideal conditions for oysters and many other species to thrive in. With his understanding of this special ecosystem, and of new aquaculture technology, Bill soon began his own endeavor at a site just a few miles away. 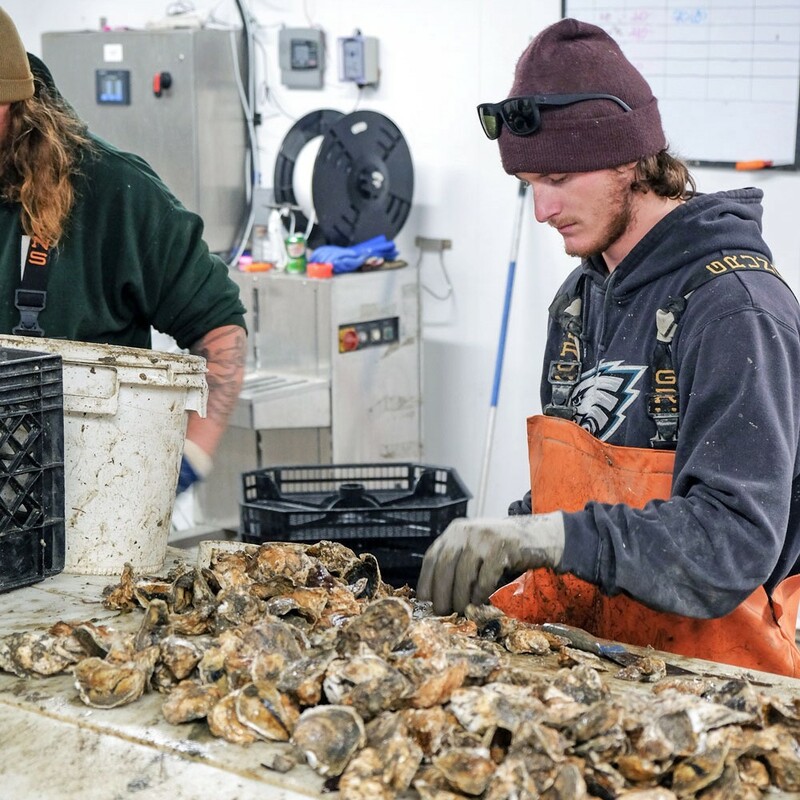 Aquaculture has since taken off in Maine — and oyster farming has tripled over the past decade. 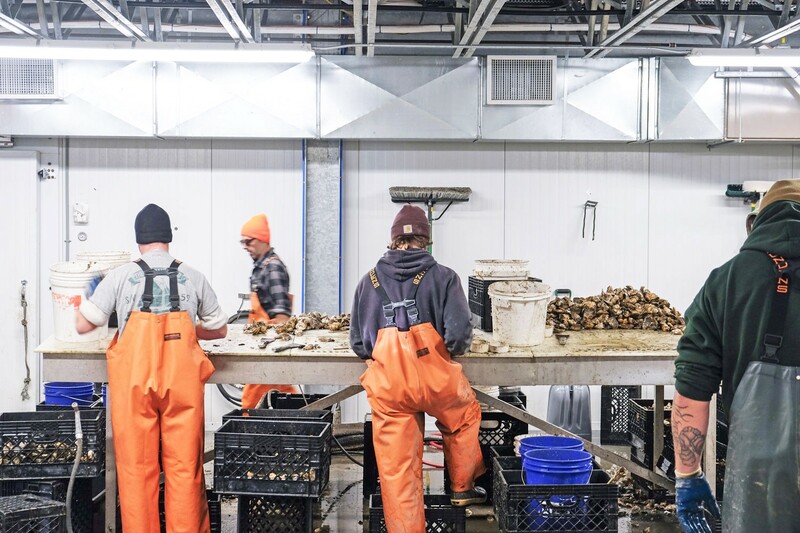 Today, around 75% of Maine’s oyster farms are on the Damariscotta, and although they all grow the American oyster, each has a distinct flavor shaped by the different locations they are grown. As Pleistocene glacial ice receded from Maine’s coastline, large basins separated by sills and narrows were left behind in the granite — these geological variations in the Damariscotta create very different saline, oxygen, and temperature compositions within the water column. Two oysters grown in the same location but different depths can vary greatly in appearance and taste due to the confluence of these, and other, developmental factors. Mook Sea Farm employees are well-versed in all aspects of growing, harvesting, and market preparation. With growing popularity has come the need to steadily scale up operations to meet demand. Currently, there are about 25 year-round employees, with extra seasonal help when students are out of school, and recently a new facility was completed that covers their distribution in a way that goes beyond simple supply metrics. To sustainably grow enough oysters for market, Bill started raising them in OysterGro cages. The New Brunswick-designed cages are suspended in the water to avoid the potentially harmful practice of bottom dragging, where the oysters filter-feed for a few years until they are big enough to harvest. Once harvested, they are brought indoors for washing and sorting. Empty shells are culled, various sizes are grouped, and then they go into holding containers for a short amount of time to purge them of any foreign particles before being prepared for market. This has become routine production work for Mook Sea Farm, albeit at a larger scale inside their new facility. The biggest significance of the larger facility, beyond a higher volume of production, requires some elucidation but can be summarized in a word: resilience. 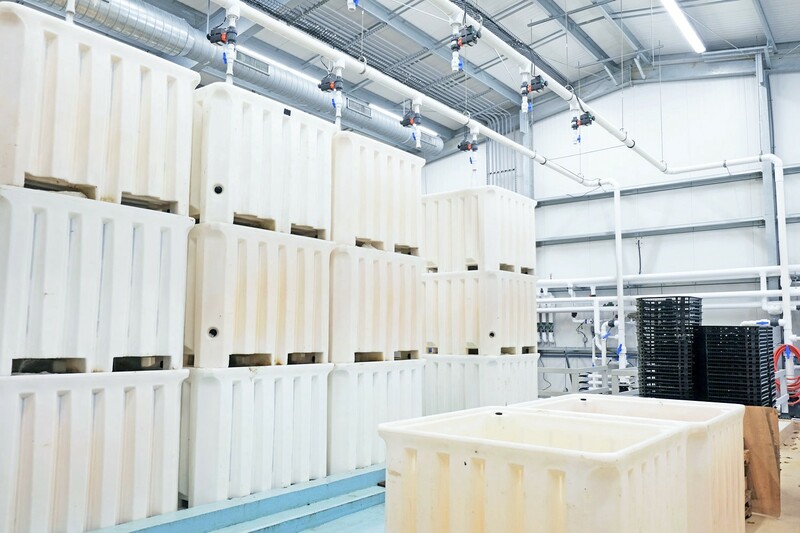 Tough, insulated containers are ubiquitous in the world of aquaculture — they keep valuable harvests fresh, and are easy to clean. Indeed, New England has seen a marked increase in heavy downpours over the past half century, the biggest rise in the country. When the ground can’t absorb heavy rainfall quickly enough, damaging deluges are created. Within the Damariscotta River watershed, which covers an area of 103 square miles, everything in the fields, on the roads, and in the water, has the potential to drain into the estuary after a storm. Most shellfish are filter feeders that eat phytoplankton they strain from the water, and so contaminated runoff can render them temporarily inedible after heavy rain. Therefore, every time there’s a rainfall event with two inches of rain or more in less than 24 hours, the Department of Marine Resources closes down shellfish harvesting until water tests come back clean. This takes at least a few days — benching workers, and preventing valuable product from going to market. Inside Mook Sea Farm’s new facility, they have built more than just an expanded production capacity, they have built in resilience. 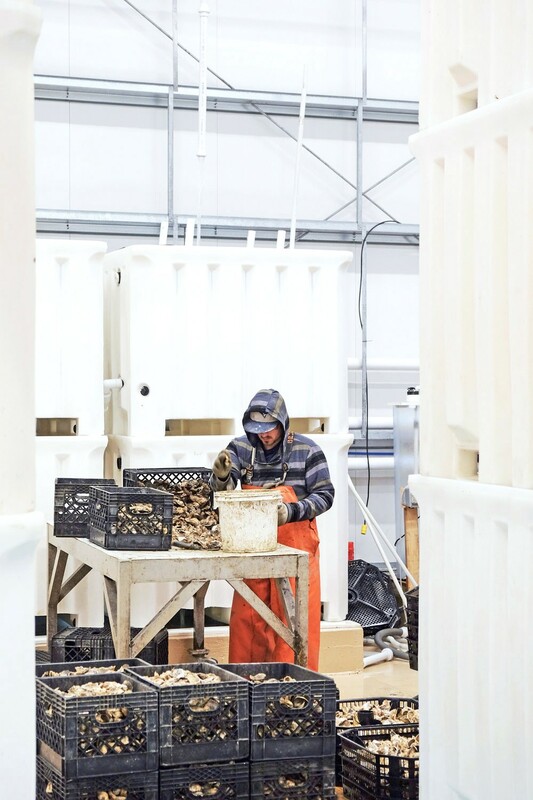 Designated as a land-based aquaculture facility, the building functions as a sealed environment to keep a sizable reserve of harvested oysters alive and fresh during closures — meaning business doesn’t have to stop when harvesting does. Inside Mook Sea Farm’s spacious new facility, filtered and UV-irradiated water can flow down through triple-stacked product containers, flushing them free of particles. 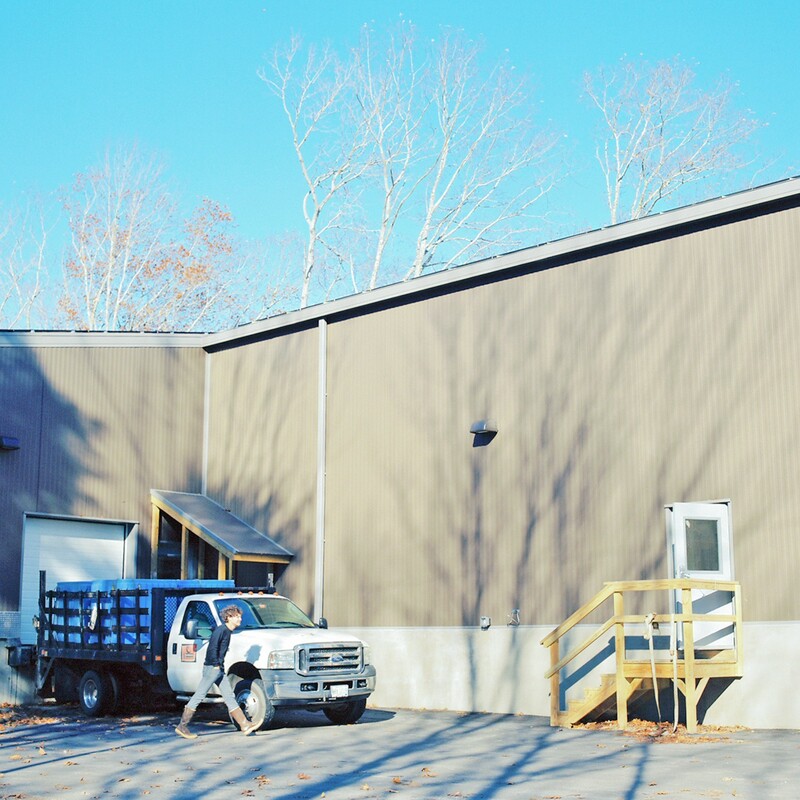 Water from the Damariscotta is regularly pumped into the facility, passing through UV irradiation and a 1-micron filter, and flushed through oysters that are prepared for shipment in holding tanks. In the event of a harvest closure the uncontaminated water can be recirculated, allowing Mook Sea Farm to ride out a costly rain event. With the addition of 282 solar panels atop the facility’s broad, standing seam roof, Mook Sea Farm’s resilience has been bolstered even further. Heating and cooling, which goes beyond keeping workspace temperatures regulated, is one of Bill’s biggest costs that solar electricity has now locked in at a lower price. 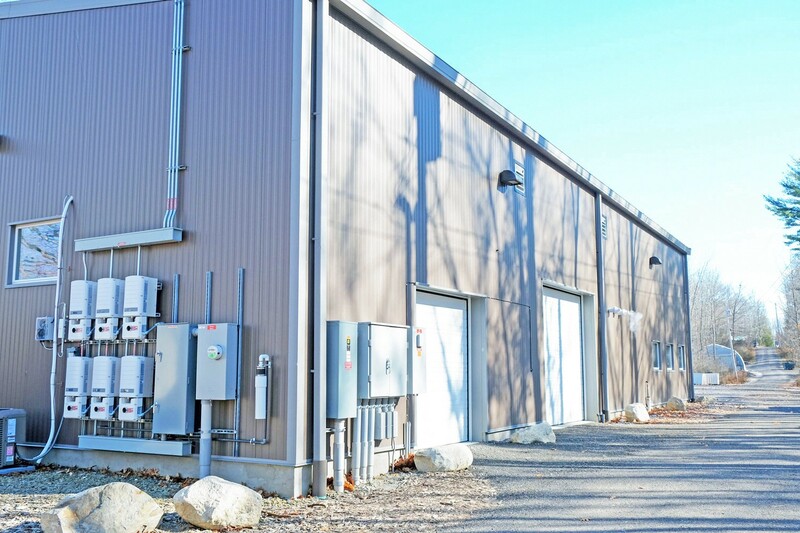 The metal-clad exterior of the new facility in Walpole, ME — atop the standing seam roof are 282 solar panels. The IPCC report released this August delivered a simple warning about climate change: at the current rate of warming we will begin to see a new level of disastrous effects around the globe by 2040. From the loss of species to coastal flooding, a web of increasingly dangerous and expensive consequences will begin to emerge once we reach a certain temperature threshold. A Mook Sea Farm employee travels from the hatchery to the new production facility. Carbon pollution is the root of this warming, and beyond the impending calamity of global warming, another problematic aspect of carbon pollution is the acidification of our ocean. As carbon dioxide is absorbed into surface seawater at higher rates, the ocean’s pH is lowered, and its acidity increased. Oceans are already suffering from elevated acidity and lower levels of oxygen as a result of climate change, but it can get much worse. Our corner of the ocean, the Gulf of Maine, is a very special, nutrient-rich haven that retains rich, cold water in its glacially-carved basin. It’s the very nature of this special geology that is now causing the Gulf of Maine to warm faster than 99% of all oceans. The hatchery overlooks the Damariscotta — the dock and adult oysters are just down the hill. Higher acidity attacks the calcium carbonate minerals that are the building blocks of many marine organisms. Ocean acidification directly impacts the ability of some organisms to produce and maintain their shells. At best, acidification puts stress on ecosystems, at worst, it bleaches entire coral reefs. Bill’s oysters are safe from voracious predators like the common eider duck and invasive European green crab — grown safely in cages, they have over a 90% survival-to-market rate. As filter-feeders, and shell-dwellers, though, they are very much vulnerable to the environment that they thrive in. This efficient crew is now able to work through storm closures that would otherwise put them on the sideline. Truly committed to understanding and protecting the habitat that his business is prospering in, Bill still feels that they have more questions than answers. Joined by Mook Sea Farm’s Head of Research and Development, Dr. Meredith White, who has dedicated much of her career focusing on understanding the biological impacts of ocean acidification, Bill has expanded their research well beyond that topic, all with the goal of improving their resilience against environmental changes. Shellfish will be impacted the most in an increasingly acidified ocean, but another imperiled organism will be the phytoplankton they consume. Phytoplankton is the “grass of the sea,” and it directly or indirectly feeds species throughout the levels of the marine food web. 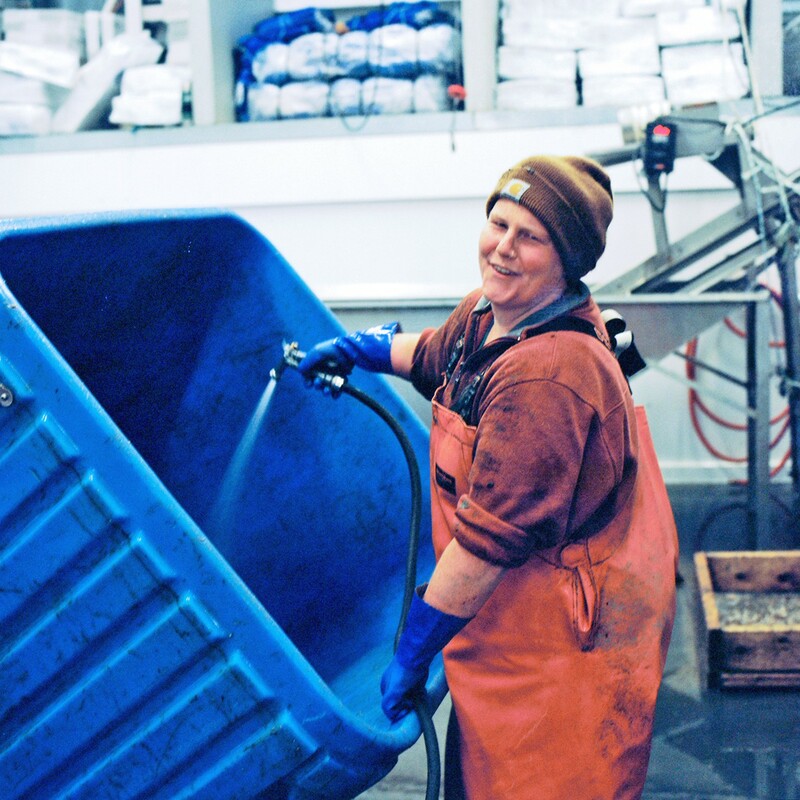 Aquaculture’s annual economic contribution in Maine has nearly tripled over the past decade from $50 million in 2007, to $137 million in 2017. The futures of the aquaculture, wild harvest, and fishing economies are at stake if our ocean becomes too warm and acidic, whether it is the decline of phytoplankton, the disappearance of wild mussels, or the northern migration of lobsters. Communities linked to the sea face potential economic hardship, and the prospect of losing a big piece of their identity. Meredith also elaborated on the larger effort that Mook Sea Farm is participating in to create timely change through the state legislature. This effort is a continuation of a report that Bill and Meredith helped write in 2014. “The report contained recommendations for addressing ocean acidification, the last of which was to create an ongoing commission to oversee the issue. The previous administration did not support that recommendation which led to the formation of the Maine Coastal and Ocean Acidification Partnership (MOCA),” Meredith recalled. This volunteer group of industry members, academics, nonprofits, and state agencies met with Maine’s Coastal Caucus this November to talk with coastal representatives about ocean acidification and the urgent need to create a new report and take action. For those concerned about the health of the Gulf of Maine, it is a relief to have an incoming administration that is talking about the reality of climate change and the need to reduce carbon pollution. Our communities can vote with ballots and wallets alike in choosing where our energy comes from. Governments, businesses and homes powered by clean solar electricity can help change the outcome locally and globally. Like the seafood on our table, there’s little reason why our electricity shouldn’t be homegrown. We must use dire warnings to do something big, and we must have the confidence that it can be done. Originally published at www.revisionenergy.com on December 5, 2018. Employee-Owned solar (+) company leading transition to 100% solar-powered economy. Proud B Corp, serving Maine, New Hampshire, Massachusetts.